We found that both individual and partner-specific relationship qualities and dynamics predicted contraceptive use, but these factors varied by contraceptive method. For example, young adults who reported greater exclusivity with a specific partner and more relationship commitment were less likely to use only condoms with that partner. Additionally, individuals who felt they played a strong role in making sexual decisions in their relationship were also more likely to only use condoms. Response: Relationship qualities and dynamics have an effect on contraceptive use of young adults. Understanding how young adults make decisions about birth control use can assist health care providers with tailoring their conversations about birth control choices to meet the needs for each individual. Findings from this study indicate that public health educators and medical clinicians may benefit from understanding more about their patient’s relationship status and the qualities and dynamics of that relationship because an individual’s behavior and decisions are likely influenced by those of his or her partner(s), their role in decision-making, and their perceived levels of commitment. Response: Our findings suggest that the measurement and use of partner-specific qualities and dynamics could be important for researchers, health care providers, and other public health practitioners who provide counseling, interventions, programs, or other services related to family planning or risky sexual health behaviors. 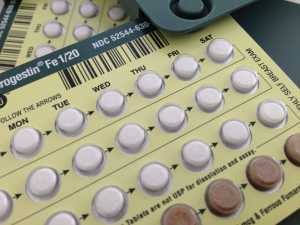 For health care providers, understanding how young adults make decisions about birth control and including relationship qualities, such as commitment and decision-making empowerment, in their conversations with young adults could improve communication about the choice and use of contraceptive methods. Response: The burden of unintended pregnancy and the transmission of sexually transmitted infections on young adults are substantial. Young adults are at the greatest risk for unintended pregnancy and are disproportionately affected by sexually transmitted infections than other age groups. It is important that we continue our efforts to better understand the influences on contraceptive choice and use among this population. I don’t have any conflicts of interest or anything to disclose. Contraceptive Method Choice Among Young Adults: Influence of Individual and Relationship Factors. Harvey SM1, Oakley LP1, Washburn I2, Agnew CR3. This entry was posted in Author Interviews, OBGYNE, Sexual Health, Social Issues and tagged birth control, Contraception, relationships by Marie Benz MD FAAD. Bookmark the permalink.